Ysolda Teague’s Follow Your Arrow Mystery Shawl KAL has a wrinkle I’ve not seen before: each week we are given two pattern sections, but we have to choose which one to follow. Since there are 5 “clues,” there are 32 possible shawls that can be knit (2 to the 5th power), and that’s just in one color. There’s a 2-color option as well, and since knitters are creative people by and large, there are some people using self-striping yarn or more than 2 colors. 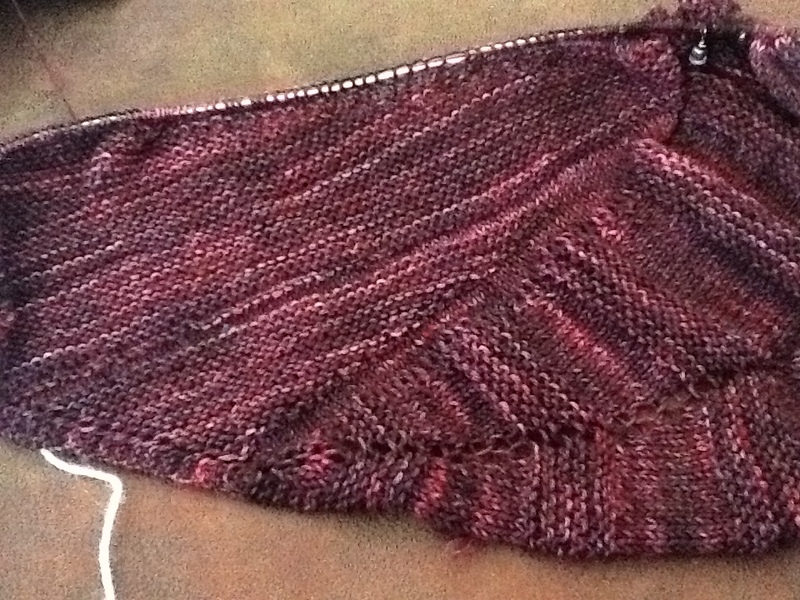 This past week was Week 2, so there are 4 possible shawl configurations at this point: 1A/2A, 1A/2B, 1B/2A, and 1B/2B. I have chosen 1B/2A as my first choice shawl, and 1A/2B as my “anti-shawl.” The majority of knitters in the KAL seem to have made one of these same choices, for the most part because the parts match in style. Clues 1B and 2A are symmetrical and lacy; clues 1A and 2B are asymmetrical combinations of stockinette and garter stitch, with some short rows in clue 2B for added excitement. Frankly, it was a bit more excitement than I needed, since I found that I had the wrong stitch number and I needed to rip all the way back to my lifeline at the end of clue 1A. But I’ve finished correctly now and placed my new lifeline. Clue 3 tomorrow! My photos aren’t great because my cables aren’t long enough to stretch the knitting out well, but you can get the idea. 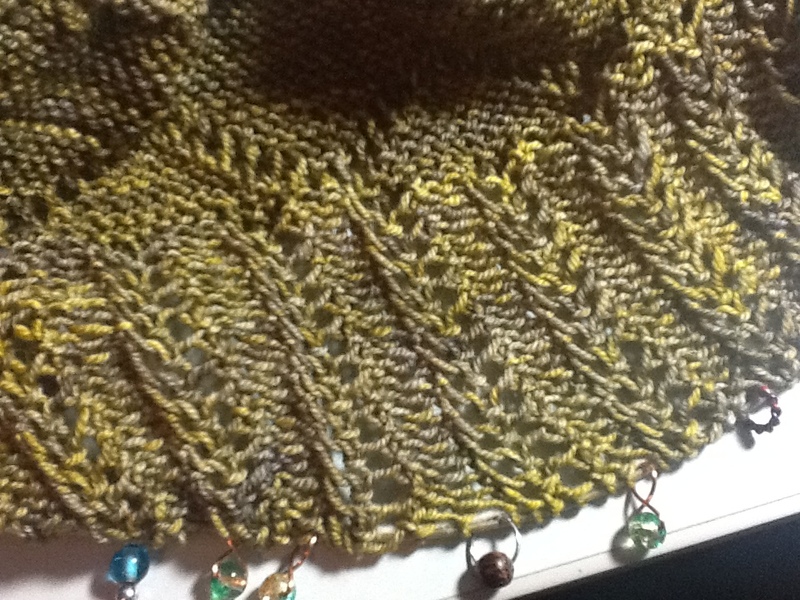 This entry was posted in Uncategorized and tagged KAL, knitting, mystery KAL, shawl. Bookmark the permalink.